It’s been a long time since I have had an original painting for sale as most of my painting time is now taken up with commissions, but I have exciting news, I have not 1 but 2 brand new painting available!!! The 1st one I did in between commissions just because I really loved the rich warm side of the lion compared to the cool shadow side. The image above shows the lion completed. I’m really happy with the way the colours are complementing each other on this painting. As this painting is 12 x 12 in and is a more manageable size to ship, it is being sold fully stretched and ready to frame. It has been a real privilege to be involved with the Gorilla Organization Fundraiser this year. I concentrated on painting just one image of a silver-back entitled “The Thinker” (Above) The painting is now completed and available – remember there is only ever one original. 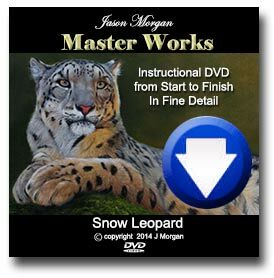 BRAND NEW TUTORIAL EBOOK RELEASED DEC 2009!!! 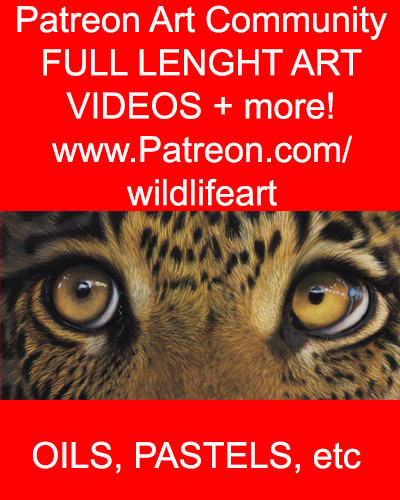 You can also now watch my wildlife art paintings develop on Youtube!